I found this kit at Walmart. I don’t remember the exact price, but it was something like $5.99. There are instructions for kids and grown-ups, with the intention of parents helping the kids bake these sweet treats. The instructions were easy to follow. 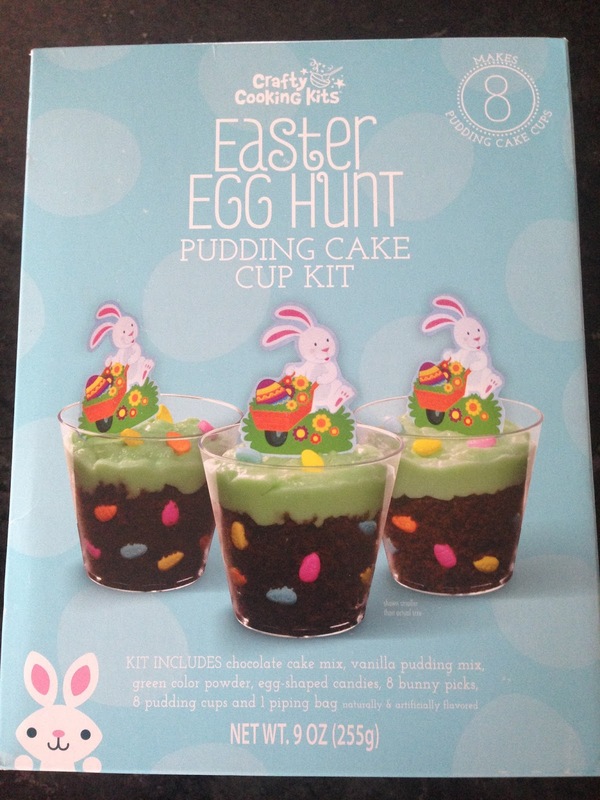 The kit came with the batter, food coloring, candy pieces, pudding mix, small cups, piping bags, and decorations. Kit & I added milk, water, an egg, and butter to the mix. You make a small batch of chocolate cake that you crumble for the bottom portion of the cup. 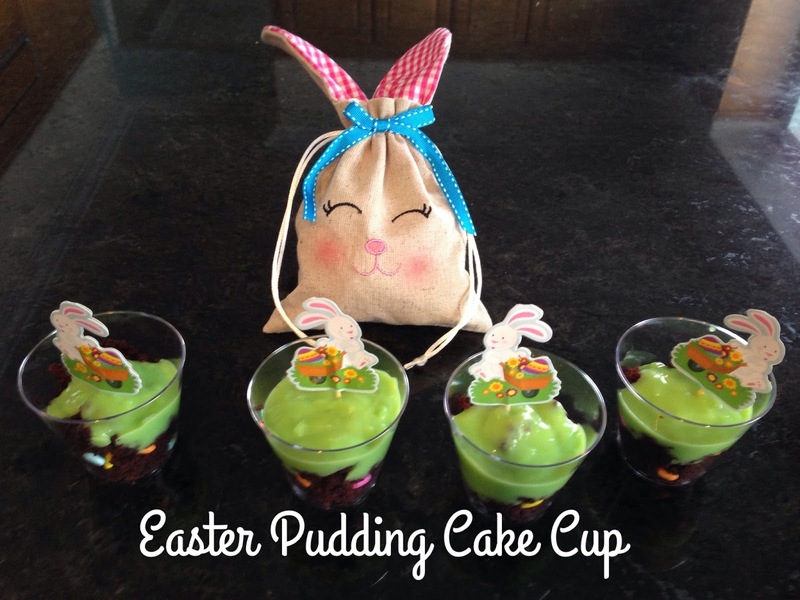 The top is vanilla pudding with green coloring. You can add some candies to the sides to make it more interesting. I bought the bunny bag at Michael’s. It was $2.99. Easter items were on sale 40% off in store only and there was an online 20% coupon on sale items. I paid $1.79 for it. It’s not really big, but it’s a good size for small candy and treats.